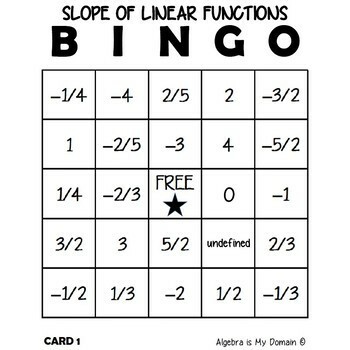 PARALLEL CALLING CARDS: The calling cards have a linear function in slope-intercept form. 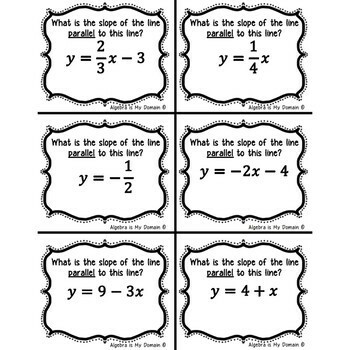 Students are expected to identify the slope of the given line and determine the slope of the line that would be PARALLEL to the one given. 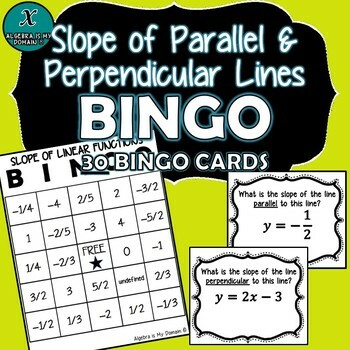 PERPENDICULAR CALLING CARDS: The calling cards have a linear function in slope-intercept form. 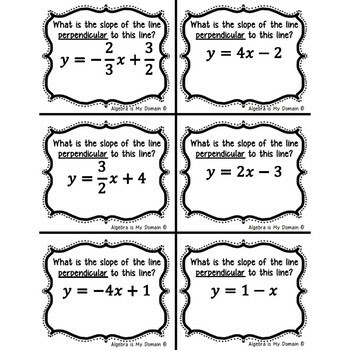 Students are expected to identify the slope of the given line and determine the slope of the line that would be PERPENDICULAR to the one given. When a student thinks they have won, they call back the slopes they have covered. The teacher looks on the back of the calling cards that have been called to make sure the student has covered the correct ones.